File sharing is nothing but an exchange of files amongst computers across the Internet. With the advent of the Internet, online file sharing has become a common phenomenon amongst millions of web users. 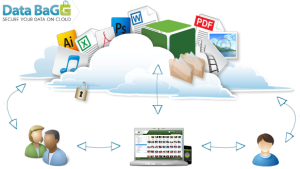 The online file sharing service offers a simple way of storing and accessing documents, photos, data and videos in the cloud instead of storing this information on a local device like the hard drive or on any removable media. Most organizations are now turning to online file sharing to help their employees’ access important files and collaborate better; they are realizing that these can replace and dislodge in-house file servers. File sharing is not illegal and tools for downloading or sharing files are no more email attachments or removable media; rather they are comprehensive applications like P2P clients and download managers which host files and share links for the others to download. It is however illegal to share files when the file in question includes instructions not to share or distribute it. Files with copyright may be shared so far as the license permits you to do so. A typical example would be a music file which can be bought online because recording companies typically have contracts with video and song distributors and allow users to play the music in their own computers or in players like the MP3 player or iPod. A great benefit of using such services like the Dropbox is that organizations are not required to maintain or support the data on their own. This is because data in such an online sharing service may be accessed remotely from any device having Internet connectivity such as tablets and smartphones or by individuals with data access rights. By using online file sharing, software managers have found that they can do without file servers. The cloud file services such as Dropbox, Box, Nomadix Inc., YouSendIt Inc. etc have significantly lowered costs in maintaining VPNs or Virtual Private Networks. They have also eliminated complexities associated with maintaining file servers. File sharing allows collaborations using tools like blogs and emails or applications which let you download directly from the computer which is hosting a specific file. File sharing is beneficial because it lets software developers share files to get feedbacks and error reports. Recording companies use file sharing to allow their customers to enjoy previews of the songs before they actually buy them. Music buyers also find this appealing because they do not have to buy an entire CD; they can now choose to buy only those songs which they like. Those working in offices and even in schools can benefit from online sharing of files because this lets colleagues and classmates work hand in hand on projects both at work and school. Individuals can also benefit from file sharing because it allows them to share their personal files with family members and friends. Unlike the FTP sharing, there are almost no email bouncebacks here and this allows you to focus better on other pressing work matters rather than concentrating on delivering files only. Moreover, compared to FTP, online sharing of files is far more secure because they are password protected. Since online file sharing is relatively simple and needs a minimal learning curve, managers are able to train their employees faster; they can now bypass the steps they needed to teach their subordinates in a FTP network. Most web file sharing services let you share very large files and you can send links to these to the recipient in an email. Regardless of the benefits, the truth remains that online file sharing can become dangerous if you download the files from sources that are not known to you or from any untrusted source. There remains the risk of downloading viruses and malware. But, the benefits outweigh the drawbacks making online file sharing an option which is hard to ignore.